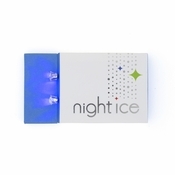 Night Ice crystal LED earrings are all new and original! 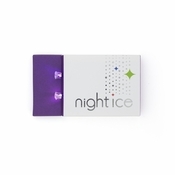 Night Ice light up earrings project positivity and come in 6 vivid colors. Collect the whole set of 6 fun colors and light up every room! Check out B-Boy Killa wearing Night Ice in Moon's awesome promo video filmed in Beijing! Night Ice light up earrings start with a sparkling crystal stone. Add the batteries backs and LED light shines through your crystal earrings! 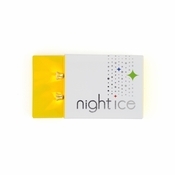 Night Ice are crystal stud LED earrings for pierced ears that light up when you add the batteries. 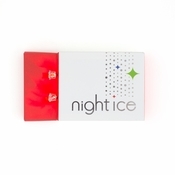 Wear Night Ice as sparkling crystal earrings during the day. Then turn the LED light on at night or when it's time to have fun! Night Ice crystal LED earrings turn on or off instantly when you want them to. Promo code 415 gets you 10% off! 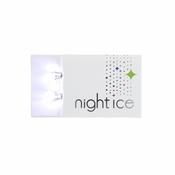 Night Ice LED earrings are perfect gifts for men and women. Get yours now!